The "Koigu Pencil Box Collection" is a collaboration with 12 designers who got creative with Koigu's new Pencil Box Packs to create 14 new patterns. The Koigu Pencil Box packs are packs of 10 25g skeins of KPPPM in different variegated colourways. In Estonian Vill means wool. At Koigu we are very passionate about our wool and decided to showcase some of our coziest designs made out of Chelsea and Othello in the book Vill. Featuring 12 patterns, there is a pattern for all abilities and all techniques! Koigu Wool Designs and its founders, the Landra family, have earned a passionate following in the knitting world for their uniquely artistic method of handpainting fine yarns, in colorways both completely original and instantly recognizable as Koigu. In Wrapped in Color, those vivid colors and luxurious fibers have inspired 30 gorgeous shawls, wraps, and capes, including projects suited for knitters at every level of ability. These designs are a treat to knit and to wear, enveloping you in the warmth, joy, and beauty that are Koigu. 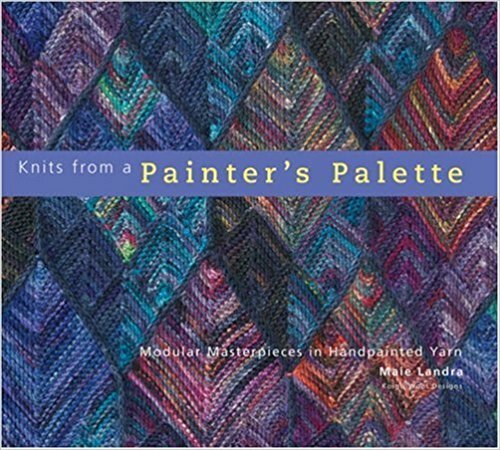 Knits from a Painter's Palette, Author and fibre artist Maie Landra, chronicles the family business behind KOIGU WOOL DESIGNS, a remarkable Canadian wool business. Detailing how Maie’s heritage and art training led her to develop her signature hand –dyed yarns Koigu Wool Designs, located on a farm near Chatsworth, Ontario has won a devoted following for its one-of-a-kind hand painted yarns and original knitwear designs. For over ten years, Maie and her daughter Taiu have been amazing knitters worldwide with the quality and colourways of their beautiful Merino yarns. Working quietly on what their publisher describes as a "remote Ontario farm" Maie and Taiu have developed some of the most sought after yarns for the millions of new knitters caught up in this craft revival. Knits from a Painter's Palette chronicles the rich family story behind Koigu, detailing how Maie's Estonian heritage and art training led her to develop a signature style of hand dyeing and knitting yarn. The book also showcases more than 25 stunning designs using Koigu's modular knitting techniques with detailed instructions and beautiful full colour photographs taken at the farm.